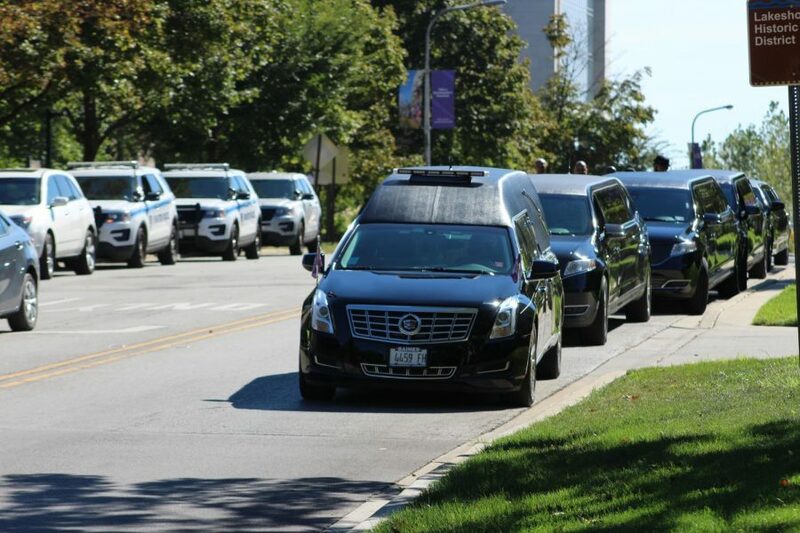 A funeral procession for Constance Lorraine Hairston Morton outside Alice Millar Chapel on Saturday. Hundreds turned out to honor the legacy of a woman who built strong relationships and broke down racial barriers. 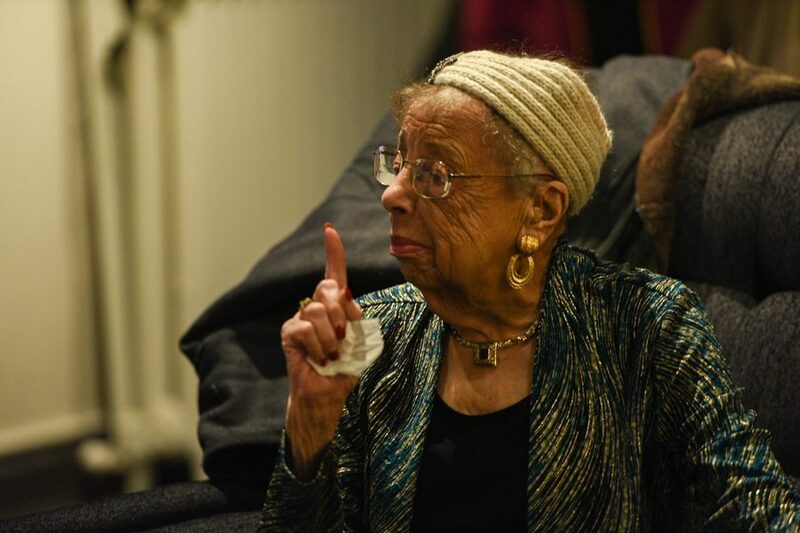 Hundreds gathered in Alice Millar Chapel Saturday to remember the life of Constance Lorraine Hairston Morton, Evanston’s first African-American mayor, who to many was a teacher, mentor and friend. The celebration honored a woman who many say brought joy and wisdom to the community, with scores of humor-filled stories that only brushed Morton’s journey through a purpose-driven life. Family and three former mayors remembered Morton as a relationship builder who stressed strong family ties, broke down racial barriers and fostered a tight-knit community. If a tear was shed, few saw it. Talks of repeating Aretha Franklin’s hours-long funeral were frequent, though the Rev. Larry S. Bullock, who delivered a eulogy, said he promised Morton to abide by her request that the services be kept under 90 minutes. In the end, it ran for well over two hours. That request was only one of many. Morton had planned almost every detail of Saturday’s services, including speakers and musical selections such as “Oh Happy Day,” family members said. The expected turnout was too great to host the services at the Second Baptist Church, where Morton was an active member and an ordained deacon. Instead, a choir from the Evanston church performed some of her favorite songs. Three of Evanston’s mayors, former and current, honored Morton’s public service legacy, offering memories of when they would come to her for pieces of wisdom and advice. Steve Hagerty, the current mayor, spoke about Morton’s legacy of bringing people together. “I know she’s happy she brought together Evanston one more time,” he said. While the services were taking place, over 2,000 new Northwestern students participated in the annual March Through The Arch to kick off Wildcat Welcome. While the event provided a stark contrast to the funeral, Hagerty said it only added to the celebration. “I also know she’d be really happy to know that 2,000 freshmen just marched through that arch an hour before her funeral services,” Hagerty said, prompting applause from the audience. Developing a better relationship with Northwestern was only one bridge Morton built during her life. Former Mayor Elizabeth Tisdahl said she remembers calling Morton on the first day of her predecessor’s “so-called retirement” only to be told she was in a meeting — just one of example of how Morton continued to develop relationships well into her life. Several Evanston leaders were in attendance, including U.S. Rep. Jan Schakowsky (D-Ill.), Cook County Commissioner Larry Suffredin and NU Provost Jonathan Holloway. Additionally, plenty of former and current Evanston residents turned out to offer memories of how Morton impacted their lives. Plenty of other attendees echoed that sentiment, saying that Morton’s legacy as the first black mayor and the first non-white teacher of Evanston/Skokie School District 65 would be hard to surpass. At the end of the ceremony, the Rev. Michael C. R. Nabors offered no end to his benediction, saying the last chapter of her life could not yet be written.